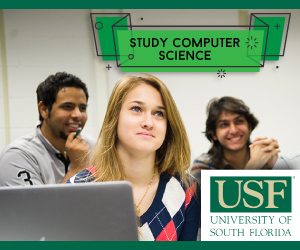 One of the most popular and lucrative majors for international students is computer science. Ranking in at the third most popular major for international students, many people choose the US for studying computer science due to the many internationally-recognized schools. The top computer science schools in the US are ranked highly due to a number of factors, including: 1) quality of education, 2) number of active publications and research projects, 3) job placement rate of graduates, 4) level of funding available. Studying at these top schools for computer science allow international students to pursue highly-regarded degrees that will be valued in the workforce whether in the United States, or back home. The number of highly-funded and highly-regarded schools for computer science provides an amazing set of opportunities and benefits for international students looking to make the most of their educational experiences. Not only are degrees from US computer science schools esteemed by employers all over the globe, students will also have the opportunity to reap the rewards of studying in a thriving sector of one of the world's most robust economies. These benefits include increased funding, high post-graduation job placement rates, and the availability of specialized expertise. Given the number of top schools for computer science, it is no surprise that the decision to pursue an opportunity-rich field of study has proven so popular among international students.